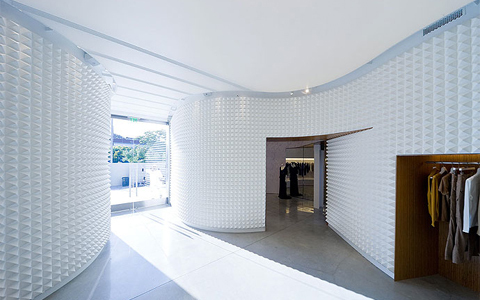 Leong Leong Architecture, PARA Project and Giancarlo Valle designed the new 3.1 Phillip Lim Flagship Store located near the Melrose shopping neighborhood in Los Angeles, California, that announces the designer’s west coast debut with the transformation of 450 square meters auto shop into a flowing interior. 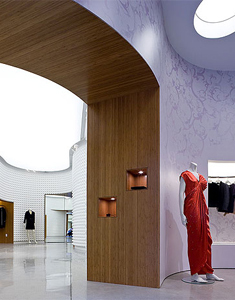 Introducing a thick curving wall in the existing building, the large space unfolds into four smaller niches. 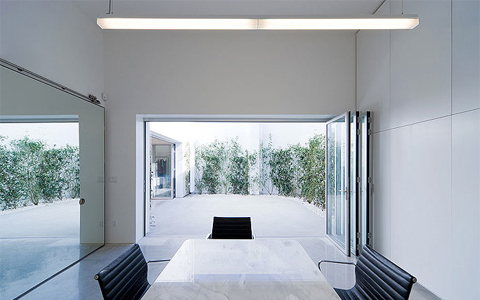 A single, continuous light-diffusing membrane floats above the space adding to the intimate atmosphere while giving the space a sense of lightness. 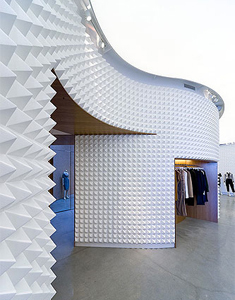 A pyramidal texture on the curving wall is actually soft to the touch creating a sensation of being both hard and soft. 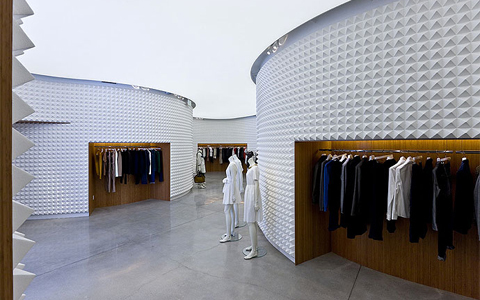 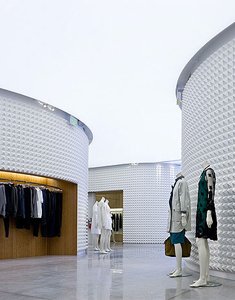 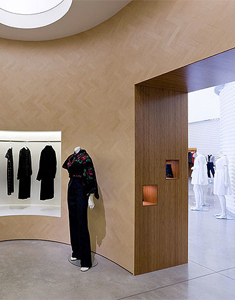 The smaller niches are each lined with different materials (wallpaper, Spanish cork, leather herringbone and bamboo) creating a variety of tactile vignettes for the clothing to be displayed in. 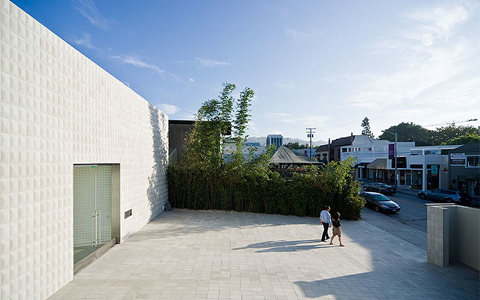 The exterior facade has no opening except the entrance. 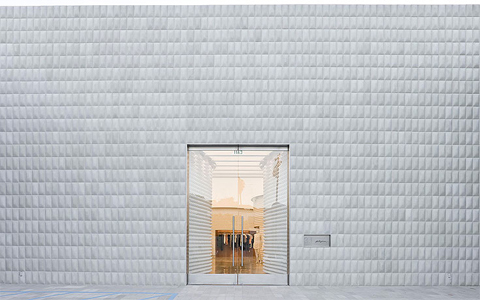 Instead of windows, the facade is surfaced in a stark yet supple pattern of concrete tiles shaped like pillows.